Last Thursday, AUD/USD made a bearish reversal lower at 71.70 as the USD started to recuperate after being on a downtrend for two weeks. 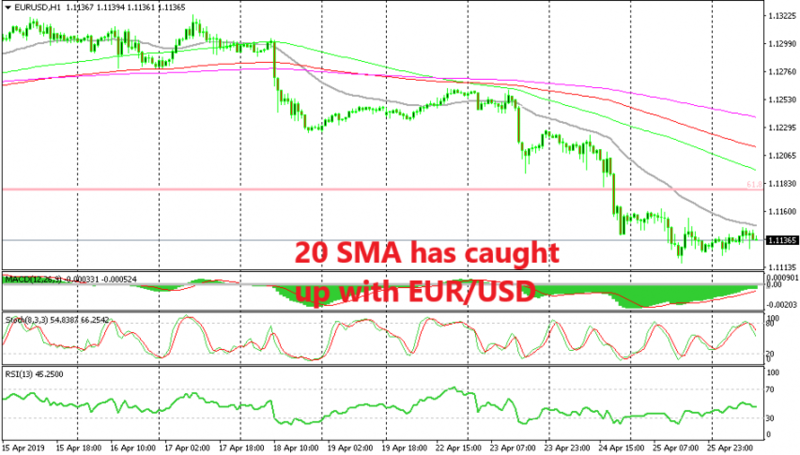 On Wednesday evening we saw another decline in the USD worth around 100 pips as the FED turned sort of neutral after being hawkish for a few year. 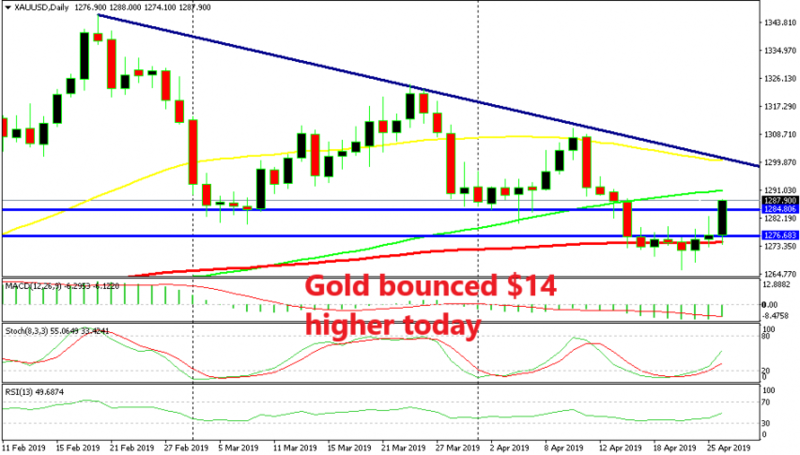 But, on Thursday the USD started to reverse and on Friday the sentiment turned massively negative in financial markets after the horrible manufacturing figures that day, which sent risk assets such as stock markets and commodity Dollars tumbling lower. SO, that’s where we left the market last week. Today, we saw a pullback higher on risk assets with major indices such as DAX climbing around 100 pips higher while commodity Dollars have gained 30 pips so far. 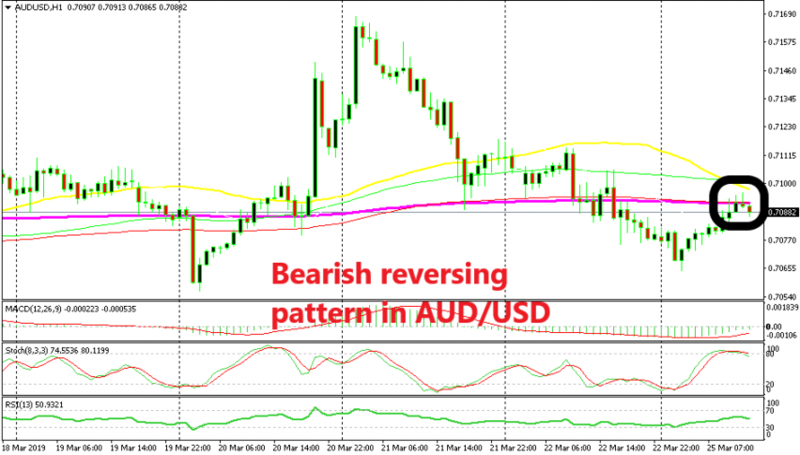 But, the near-term trend is still bearish for AUD/USD and the pullback is complete on the H1 chart. So we decided to go short on this pair. 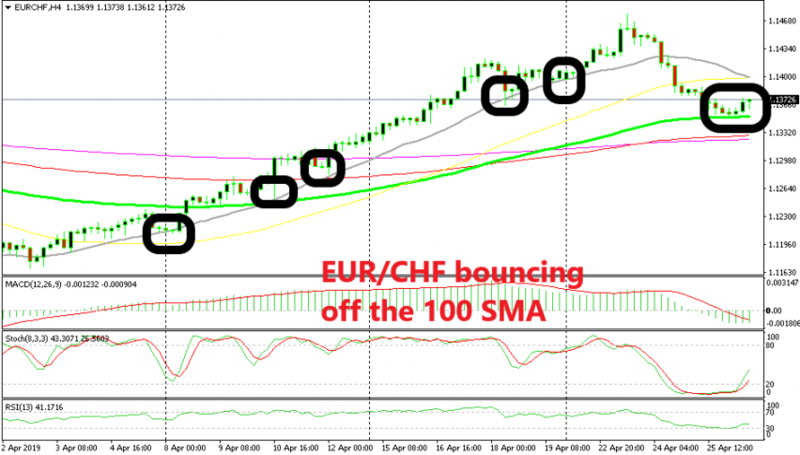 The stochastic indicator is well overbought on this time-frame and the previous H1 candlestick closed as an upside-down pin, which is a strong reversing signal. The current candlestick that has just started already looks bearish, so I think the price will reverse soon back down and the downtrend will resume again.